The range of weights were all originally based on the rather more dark connection of their uses over the centuries as poisons. A subject the designer researched in some depth! The marketing director amongst others at the time decided that was too "scary" a story to put out and so the series was put out under the "Medicinal" theme. 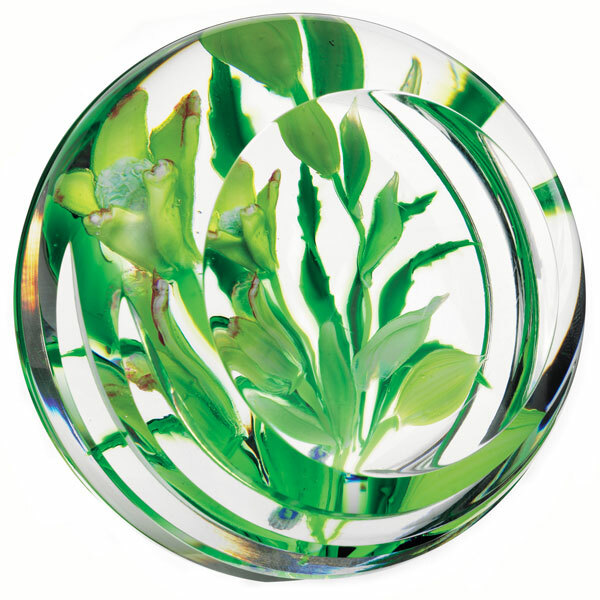 Allan Scott's new range of Whitefriars paperweights inspired by medicinal plants. Hellebore Foetidus, said to have been used by Hercules to cure a bout of madness. Edition: 100 closed at ? ?